In the meantime, I jury rigged the linkage for the manual lock and latch using a piece of welding rod – it works great for a manual trunk release, and almost isn’t worth replacing this entire component. EDIT: Once again the TDI community at the TDIClub and CinciTDI came through with some great info (thank for the links Tim). I’ll include the videos from Alamo Defense at jettatrunk.com. 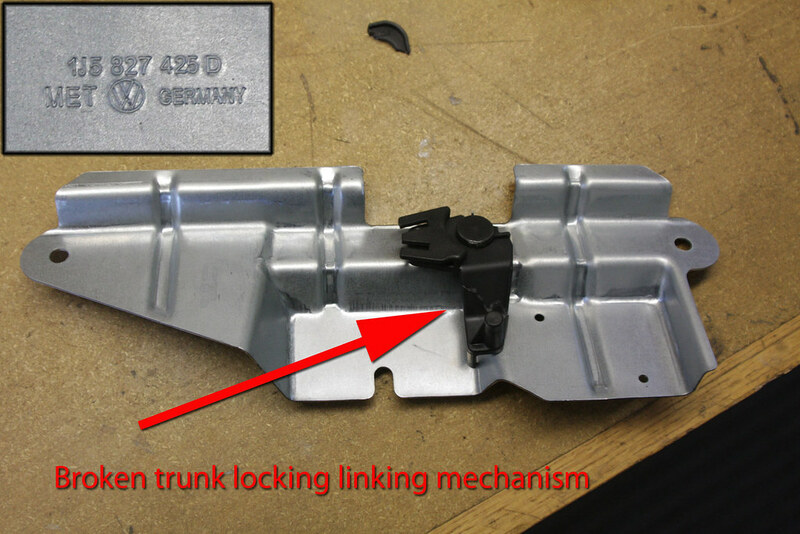 (part costs $39.99) Also on a lead from another member, U-Pull & Pay has a 2000 VW Jetta with factory parts on an undamaged trunk lid.